Real Estate Tip of the Week: Prep Your Client for Extra Costs | Real Estate Tip of the Week: Prep Your Client for Extra Costs – AmeriTitle Inc.
Don’t you hate it when you feel that overwhelming sense of guilt after buying those $70 pair of jeans you’re probably never going to actually wear? But have you experienced buyer’s remorse when you’ve made an even bigger purchase? Let’s say – the purchase of your new home? That one might be harder to deal with. Being a real estate agent, it is in your best interest to help and guide your clients throughout the home buying journey, so they understand all the fees that are associated with owning a home. This way, they’ll feel prepared and ready for the transaction. Bankrate found that 63% of millennial homeowners have expressed buyer’s remorse after the purchase of their home – this is more than any other generation. The biggest surprise in their purchase were unexpected maintenance expenses to the home. Financial experts suggest setting aside 2-5% of the home purchase price for closing costs. Something that might be surprising – these fees are usually billed on closing day. 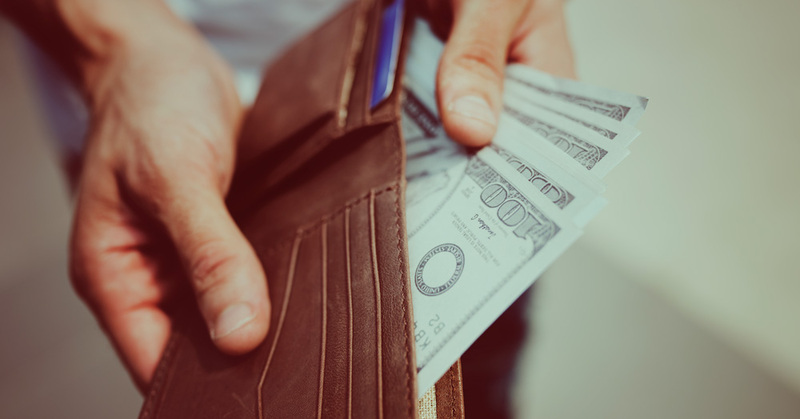 This fee covers a variety of things, like notary services, title company search fees, attorney expenses, real estate transfer taxes, insurance premiums, and more. These will vary by state and property. Inspections are highly recommended, but aren’t required. An average inspection may cost anywhere from $300 to $500. Inspections help uncover any problems with the home and prevent costly repairs in the future. Your dishwasher broke! What do you do?! – well, it’s recommended to put aside 1% of a home’s value per year for any unexpected maintenance expenses. For example, a $300,000 home would mean budgeting $3,000. Your clients are probably so busy thinking about other things that the idea of setting money aside for moving probably isn’t on their radar. Because moving adds up too, they’ll want to allocate any expenses – aka, a moving company or renting a truck – into their upcoming bills. Clients should 100% discuss financial spending and organizing with their lender and band to fully understand where they stand and where they want to go. But, that doesn’t mean you can’t help guide them on some of the upcoming fees associated with purchasing a home!